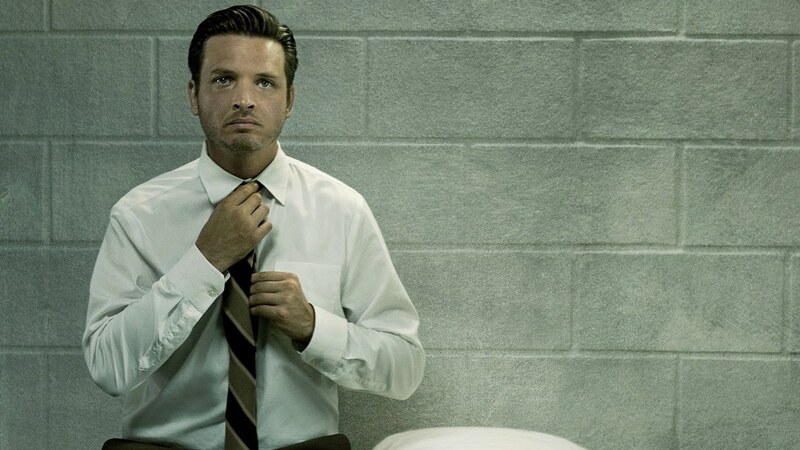 Rectify tells the story of Daniel (Aden Young), a man who spent the last twenty years on death row for murder. Now he’s being released, pending a retrial, after new DNA evidence surfaces that casts doubts on his sentence. He’s an all American son, he comes from a traditional nuclear family, and his return to his hometown opens old wounds. The setting is important in Rectify, and it’s used consistently throughout the narrative to reiterate Daniel’s claustrophobic existence. In prison he was kept under lock and key, and out in the real world he’s the subject of unpleasant and prying small town eyes. What’s clever about the story is its lack of exposition. It doesn’t discuss Daniel’s guilt, or cast doubt on the crime he committed. Instead the narrative considers the legacy of an action, and the way that people judge based on appearances, and what they’re told. Whether or not Daniel committed the crime is beside the point. His sentencing made the town feel safe, and now people are less certain about the righteousness of the legal system. Instead of considering Daniel’s innocence, people send death threats to his family members, and even the police follow Daniel around with suspicion. It reminds audiences of the dangers of snap judgements, and the narrative consistently explores the setting, and the perspective, of small town America. One of the strongest elements of the story is Daniel’s attempt to reintegrate into society, and rekindle his old life. He stays with his mum (J. Smith-Cameron), and in her attic there are boxes of his childhood stuff. Daniel was only 18 when he went to prison so his possessions are dated, and childlike too. Rectify makes great use of props throughout the narrative; there’s the Walkman with a mixtape of Mazzy Star and early ‘90s grunge, there’s an old Mega Drive, and Daniel stays up into the wee hours playing Sonic and Mario. But for Daniel real life is harder than the cold simplicity of his clinical white prison cell. His incarceration has had a negative effect on his mental health, and after years of accepting his lot, it’s hard for him to come to terms with his new found freedom. His family struggle to talk to him, and Daniel finds himself trading a physical cell for a psychological one. Rectify shows the inhumanity of incarceration, and the legacy it has on a person’s life too. For the most part Rectify plays well. The narrative is compelling, the structure is good, and it stands as a fine example of what the Sundance TV network has to offer. Like Red Road, it’s low budget TV, and it’s reminiscent of early HBO, and cable drama series before big budget gloss became the norm. It reminds audiences of the power of character based storytelling, instead of the spectacle that we’ve become accustomed to. Abigail Spencer as Amantha in Rectify. Spencer plays Daniel’s sister Amantha, a woman who has devoted most of her adult life to freeing her brother, and her performance is nuanced, and heartfelt. Adelaide Clemens’ character is a young Christian with designs on saving Daniel’s soul, and her husband Ted Talbot (Clayne Crawford), is Daniel’s half brother, and a man who views Daniel’s release as a threat to their family, and business. Family is an important part of the story, and Rectify uses the Southern Gothic genre subtly to further explore the influence of place on the characters and their interactions. It’s a touching account of consequences, and the way that a singular action can shape an entire life. There’s a hypnotic intensity to the narrative, and Daniel’s muddled perspective is explored through the way that others see him. We don’t get to experience what Daniel does, and he’s certainly an unreliable narrator. This however works to great effect, and Rectify carefully considers the effect that nineteen years in prison would have on a man. But Rectify isn’t perfect, and it falters mostly around its scripting, and dialogue choices. There are times when this is a notable problem, but in general, Rectify tells a compelling story through strong character development. It’s a shame though, as the poor scripting does impact negatively on an otherwise flawless narrative. Rectify is worth checking out, and it’s a strong indicator of the emerging strength of the Sundance TV network. The first season is only six episodes long, but the show is now in its third season so there’s ample potential for binge watching. Which is good because Rectify knows how to end on a cliffhanger. Have you seen Rectify? Let me know what you think with a comment below.